This was a weekday and I assumed both civilian and military radios would be open. And where did Plymouth Mil disappear to at 14.00 on a weekday? If you flew the route in August the Navy have block leave. Plymouth Mil is closed. 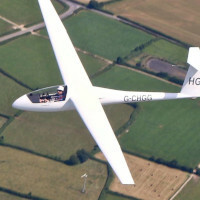 pembroke wrote: A few weeks ago I was asked to use our club PA28 and fly from Lydd to Perranporth. I chose the "southerly" route, VOR to VOR and gratefully accepted a tablet with the route programmed in from SD. This was a weekday and I assumed both civilian and military radios would be open. I won't mention the ATSUs but there seemed to be little coordination and no help re. the danger area status. (except from London Info). Why isn't it the "hot/cold" status available and displayed to Newquay, Exeter, Bournemouth and Solent, never mind the channel islands! And where did Plymouth Mil disappear to at 14.00 on a weekday? I'm glad I prepared for this flight as thoroughly as I did but I had to "put the brakes on", approaching Portland and leaving Berry head on the return, prior to onward clearance. So to be specific, leaving Lydd (IMC 'til Portland), I worked Farnborough east/west, changed to Solent, was then warned about requiring their clearance for controlled airspace ahead ,even though I stated I would remain in Class G, under their southern stub. I precipitated the Bournemouth change with both frequencies leaving the impression I was an imposition. Bournemouth warned me of the DA ahead but didn't know the status, hence the first "brake turn". I made my route perfectly clear to both agencies but had to quickly change to Plymouth Mil to get the DA clearance. That plus transponder changes made it almost feel like flying through the Olympic period! My point is that each of the ATSUs could have been more helpful but more importantly, had the DA status close at hand. On the way back neither Newquay or Exeter wanted to help and it was only after leaving Berry Head that I realised Plymouth Mil had gone home! I then contacted London Info (very busy),for the DA status. Why for example hasn't a VFR corridor been allowed in that area, I can't be the first to transit along the south coast. At least Bournemouth/Newquay/Exeter should provide ATC when the military frequencies are closed? Comments please. On a positive note, D117, D138, D138A & D406 have gone to "Hour: when notified" since late July. Their sponsore is DE&S. Then I expect that info to be available to the relevant ATSUs to provide an adequate service , particularly ,as in my case, the onward route is known. The number of notams related to an ATSU's area is vastly more than those relevant to any one planned flight, and anyway they don't know what you need unless you ask. Did you ask them whether Plymouth Mil was working? Either way, having self-briefed on all notams relevant to your intended route remains a pilot's responsibility and these days is not at all difficult. Remember, PPPPPP. The reason for my participation in this thread is just the point the OP says. There is even a note on the 1/2 mill chart to the effect that Jersey ATSU should have the latest and accurate DA status. Back to basics, and I can assure you that I planned this flight carefully. Line drawn on map LYD-SFD-BHD-EGTP. I used AIS for the NOTAMS, Airmet for the upper winds, and yes, a whizz wheel for the plog. After all if I can't manage this how can I ask a student or examination candidate to do the same! The aircraft had the basic Nav kit, last used for my IR renewal. The tablet with SD was a last minute "loan" from a club member and it turned out to be invaluable. I specifically asked Solent and Bournemouth the DA status, they were unable to give me that information so over to London Info, remember I may have two radios but can only listen to one at a time! At Lydd, DA 141 and 044 are on the ATIS. 138 at Southend is a quick yes or no via ATC, why the problems in the channel? And considering how Plymouth Mil is the major DA frequency, when it's out of hours why not have a recorded DA status as an ATIS? pembroke wrote: And considering how Plymouth Mil is the major DA frequency, when it's out of hours why not have a recorded DA status as an ATIS? This seems to work well in France. Your transmission triggers a recorded message giving the status. Shouldn't be that difficult! I seem to remember there is an ATIS type broadcast on the Salisbury Plain DAC Frequency when closed. I used to fly relatively uninhibitedly VFR in Maryland. A regular sightseeing trip with visitors was a circumnavigation of DC at <1200' amsl, which allowed close, low, slant views of Mount Vernon, Capitol Hill, Andrews AFB, Fort McHenry, .. without talking to anyone. Since 9/11, I gather from friends still flying around there, the permanently restricted areas are much larger and more aggressively policed (armed jets and helicopters, threat of huge fines and federal prison ..), so VFR bimbling is much more difficult. But there is also a temporary corridor, activated by NOTAM, between DC/Andrews and Camp David. Trouble is, there is no notice of such activation, presumably to avooid giving advance notice of Presidential or other VVIP travel; nor is it put on any broadcast. 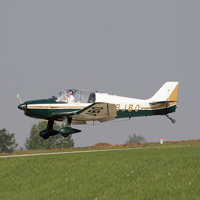 But ignorance is no defence, so VFR bimblers have to treat as active at all times, although it very rarely is. Just to make the point that GA flying in US can have issues like ours. "but I agree, it would be helpful if long, predictable, planned, inactivity of DAs were known to local ATSUs and on local ATISs, as well as being NOTAMd. The French system of having a predictably authoritative, daily updated, website of activity would be great. In UK, of course, 'someone would have to agree to fund it'. "